Orville Douglas thinks they’d be cuter if they were White. There was a lot of buzz this week (and most of it negative) over a column in the Washington Post by Richard Cohen that snarked negatively over the interracial family of the newly elected mayor of New York, Bill DiBlasio. But along came one by The Guardian’s Orville Lloyd Douglas that was far worse. A lot of black men don’t want to acknowledge the feelings of disgust we have for ourselves. It is considered emasculating to even admit the existence of such thoughts. I think my own self-hated manifests from the exterior, from the outside world. It is born out of the despair and the unhappiness I see within a lot of young black men. I can honestly say I hate being a black male. Although black people like to wax poetic about loving their label I hate “being black”. I just don’t fit into a neat category of the stereotypical views people have of black men. In popular culture black men are recognized in three areas: sports, crime, and entertainment. I hate rap music, I hate most sports, and I like listening to rock music such as PJ Harvey, Morrissey, and Tracy Chapman. I have nothing in common with the archetypes about the black male. Many people have their dark times when they utterly loathe the image staring back at them in the mirror, but to hate your own skin is more than doubt, that’s sick. Mr. Douglas doesn’t need to be a newspaper columnist. He needs to be the patient of an excellent psychiatrist. Orville Douglas: A man trapped in a prison he can never escape. It’s one thing to be distressed and disheartened by the bad behavior of Blacks. Even now, I still get a slight twinge when there is a violent, senseless crime and there’s a Black male associated with it, but I don’t wear the guilt of a criminal on my shoulders. I’d be walking around stooped over all the time. In terms of stereotyping it has been observed that Whites commit crime, but Blacks are criminals. This is not an accident. The promotion of fear is big business and it serves that industry well to keep the actions of a violent minority within a minority pushed to the forefront of our consciousness. Orville Lloyd Douglas has bought into the hype. Douglas is not a handsome man. He is a large, bald, overweight man who wears glasses. His nose is broad. His lips are thick. Orville is not a romantic fantasy. Orville hates his appearance. He shouldn’t. There are things he can do to improve it. He can work out, eat better, watch his diet and lose weight though you’d think a man who spends so much time running away from his Blackness would be in better shape. If he can afford it, he can opt for lap-band surgery. He can wear a wig or get hair plugs. Regarding his distinctly Negroid features, he can go the plastic surgery route and get fixed up with a nice pert little nose and have his lips redone. If Orville wants to be a handsome man there are options available for him to pursue to enhance his looks. What isn’t available for him is a total replacement for the skin he hates so much. Orville was born Black, he looks Black and he’s going to die Black, no matter how much he wishes to be blonde, blue-eyed, pretty and White. No matter what Orville does he is not going to see Brad Pitt staring back in the mirror. 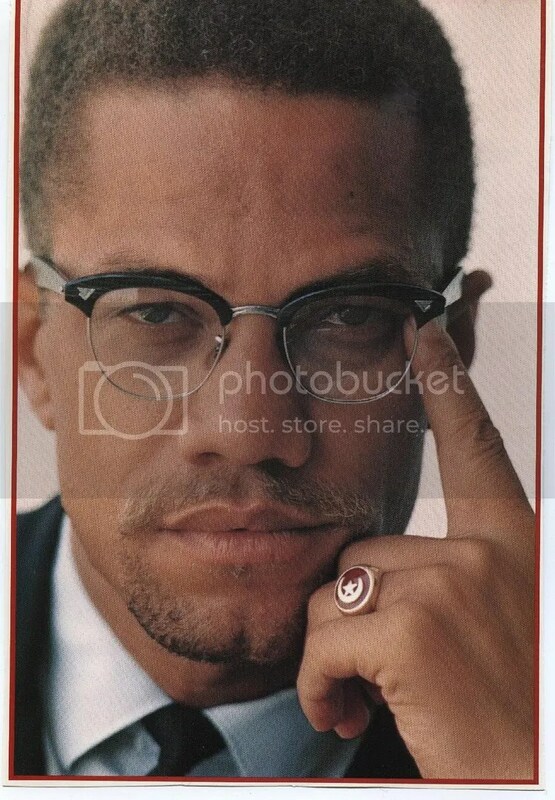 Malcolm’s kind of Black pride would scare the hell out of a coward like Douglas. I find it interesting that Orville is cool with the stereotyping and social stigmas that come with being a homosexual. Apparently, gay really is the new black. Orville can hate being Black all he wants, but that won’t change the reality Black is what he is and always will be. There isn’t enough Clorox in the world to bleach away his Blackness. The first surge of anger I felt for this wretched fellow has mellowed a pity I’m certain Douglas would want no part of it. No matter. Michael Jackson claimed a skin disease caused his slow fade to paleness but even his wealth and resources couldn’t make the King of Pop a White man. Orville will fare no better. He is trapped in a prison of flesh with no lock, no key, and no escape from the Black flesh he so despises. That’s a far worse hell than any I could ever cast him into. its certainly sad that a young black man doesn’t see the beauty in what God made.